A family business which has been active in the cleanroom clothing decontamination sector for more than 20 years, the company has developed a revolutionary gowning system. The company possesses unique expertise in gowning for cleanrooms. 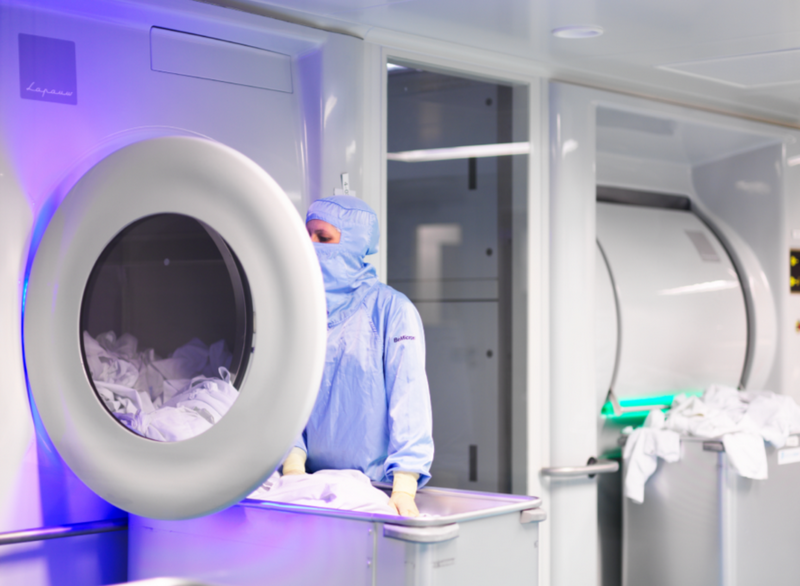 In seeking to simplify the gowning procedure and aiming to limit any contamination risk during gowning, the idea of developing a new ready-to-use product for entry into clean rooms was born. Today, a wide range of unique and high-performance products are marketed under the BeMicron® brand. The success of this gowning technique is universally recognised as best practice and the company is supported by a growing network of partners. BeMicron offers a range of products made from proven materials and accessories. These products must be maintained by specialist laundries. 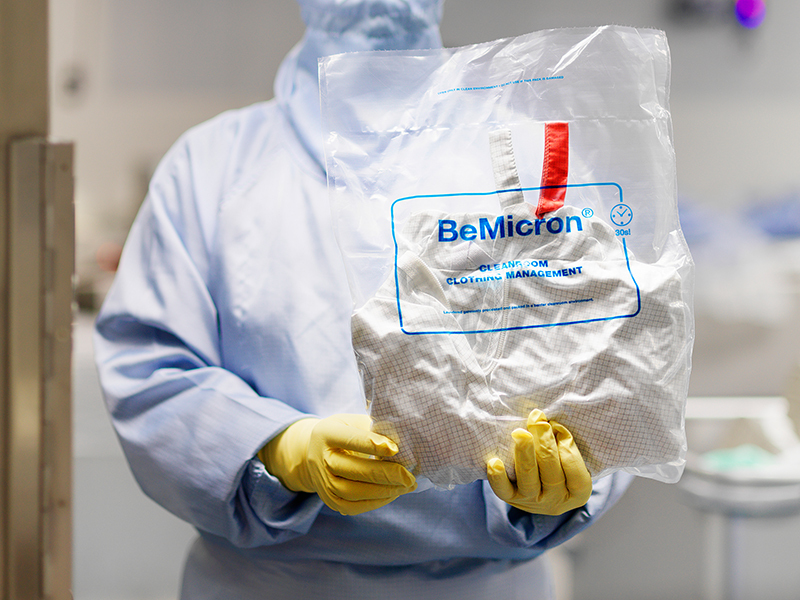 Not all decontamination laundries are capable of handling BeMicron® products. Our clothing is produced with the greatest care and you will immediately recognise its superior quality. For this reason, our products must be maintained and handled by genuine specialists. Please do not hesitate to contact us to enable your provider to process our products. 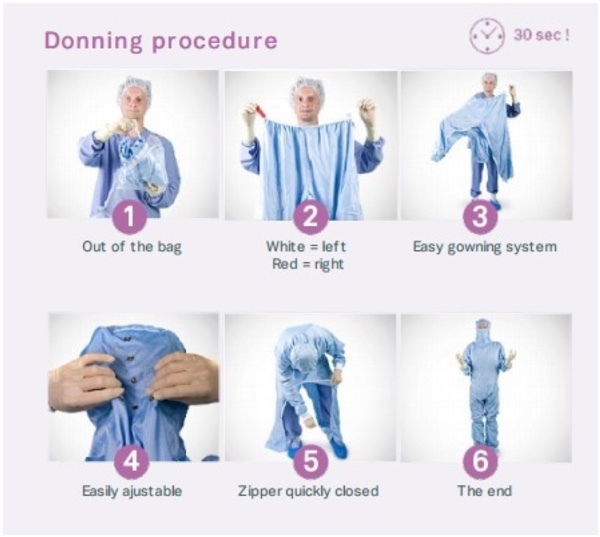 Thanks to the BeMicron® folding system and donning procedure, the operator’s movements follow each other automatically without need to touch the outside of the coverall and without errors in procedure.